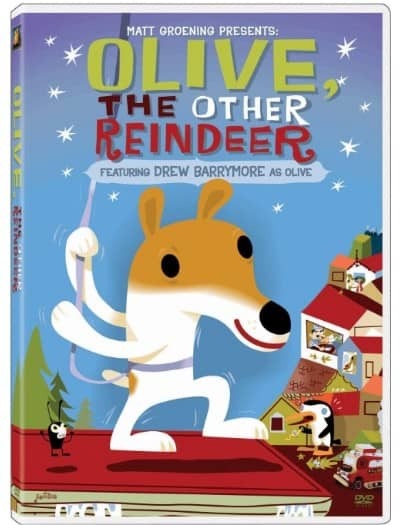 Olive the Other Reindeer is on sale for $4.99 at Amazon.com right now. That's 67% off the regular price of $14.98. A fun holiday movie the entire family will enjoy. In this delightfully funny animated adventure, “Olive, the Other Reindeer” is erally a kind-hearted dog who sets out to save Christmas when she hears that Blitzen is injured and Santa can't find a replacement! With the help of a smooth-talking penguin named Martini, Olive heads for the North Pole to join the flying reindeer team – but along the way, they must defeat an evil mailman who wants to end Christmas so he can carry less mail! With an all-star voice cast featuring Drew Barrymore, Ed Asner, Dan Castellaneta and Peter MacNicol, “Olive, the Other Reindeer” is sure to become a holiday tradition for young and old! (Hardcover) for $10.17. That is 36% off the regular price of $15.99.